Roses have been used in beauty products for centuries. Cleopatra, for instance, was said to have bathed in rose-infused milk and to have perfumed the sails of her ships with rosewater. In more recent years, the rose has been scientifically proven to not just have beautifying properties, but also several pharmacological purposes. According to Gao Junping, vice dean of the College of Horticulture at the China Agricultural University and a key speaker at the Dior Skincare Scientific Summit in Shanghai last December, roses can act as analgesics and antioxidants. The professor also added that the blooms can aid in managing diabetes and boast anti‑inflammatory and anti‑cancerous properties. All those thorns might just be worth it. Dior certainly thinks so. The brand has long had an association with the flower, thanks to founder Christian Dior’s love of them, but that relationship has deepened over the last few decades. The luxury giant is so enamoured of roses that it actually created its own variety called the Rose de Granville. The pale pink bloom looks delicate, but has its ancestral roots in an especially robust variety that grows on the cliffs of Normandy, France. The locale’s inhospitable winds, salty breezes, and lack of freshwater necessitated a strong constitution, and meant that it was ideal for Dior’s quest for the most beauteous rose of all. By beauteous, we do not mean pretty—we mean most densely packed with skin‑beautifying ingredients. Dior Science, the research and development arm of Parfums Christian Dior, took 10 years to breed the Rose de Granville, which went through seven generations of crossbreeding and refining before it was determined to have the ideal composition for beauty ingredients, beating out 40,000 other blooms in the process. 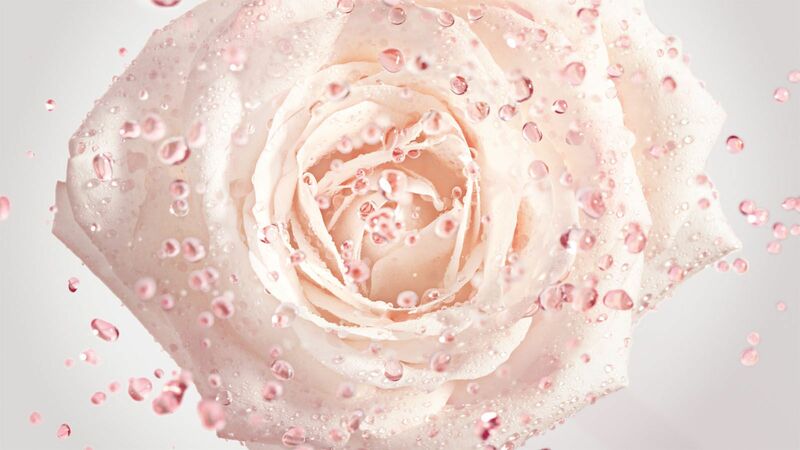 After analysing its phytochemistry, scientists at Dior Science determined that the Rose de Granville has eight unique molecules and 20 micronutrients that can benefit the skin. These include Omegas 3, 6, and 9, as well as Vitamins B3 and B5, calcium, iron and zinc, but also unfamiliar micronutrients such as quercetine, tiliroside and astragalin. These micronutrients were found to mitigate the effects of inflammageing—the phenomenon where inflammation increases within the skin as we age—and skin weakening due to nutritional imbalances. They help to reinforce the skin’s barrier function and promote skin regeneration, resulting in a healthier and more youthful complexion. Once the rose blooms are fully grown—in Dior’s own organic, pesticide-free rose gardens, of course—they are picked by hand at a specific time of day, so that the morning’s dewdrops do not dilute the potency of the ingredients. They then undergo cryoextraction at -196°C. Other components are extracted from different parts of the plant using various techniques including dynamic enfleurage, an oil-infusion technique usually used in perfumery, ultrasound and microwaves. Once extracted, the ingredients are carefully put into Dior’s powerful Prestige line of skincare products. The new Dior Prestige La Micro‑Huile de Rose, for instance, has the rose oil encapsulated in 10,000 tiny micro‑pearls, each produced one at a time using patented technology. The pearls are suspended in a water-based formula also enriched with rose-derived ingredients, and burst upon contact with the skin, delivering the entire spectrum of micronutrients and deeply nourishing the skin. Dior Prestige Light-in-White La Solution Lumière, on the other hand, combines the micronutrients from the Rose de Granville with whitening ingredients extracted from a separate Dior white rose to create a formula that deeply repairs and brightens the skin. It specifically targets pigmentation that results from skin sensitivity, soothing the complexion and reinforcing the skin’s barriers to reduce the appearance of dark spots. After 20 years of research into the skincare prowess of roses, Dior has created many potent potions that people the world over would be grateful for.